Didn’t have much time to knock this one out as I’ve got some Futurequake work to be done. It turned out quite well and I also was able to work on making brushes in photoshop. Two birds, one stone and all that. 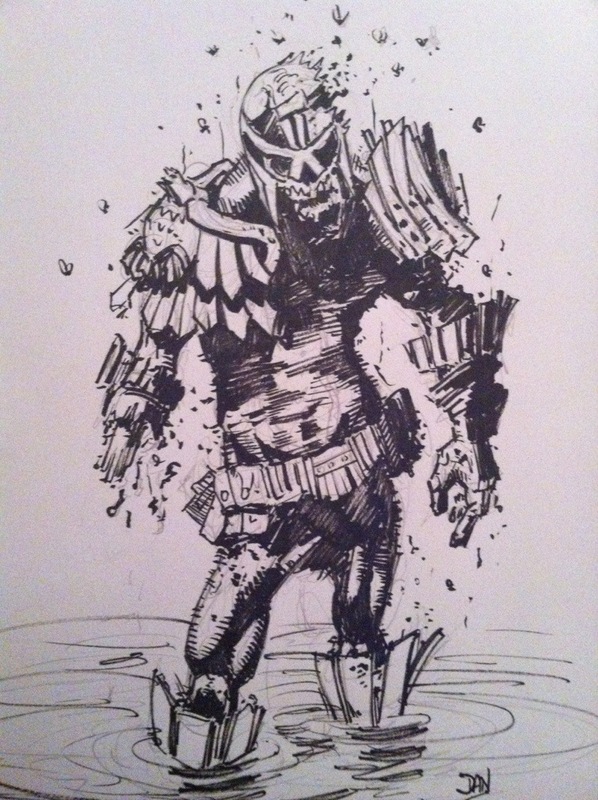 A sketch for a 2000ad art comp. wanted to do a tightened version but haven’t the time yet as I’m working on a Futurequake strip at the moment. May do it later though. 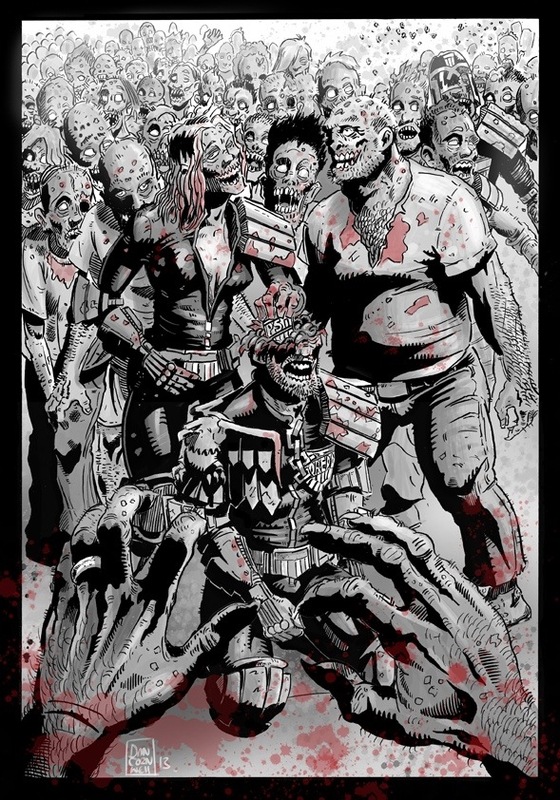 Or just colour this one. New ink from across the pond. Would have cost £45 with shipping, thank god for family friends. Can’t find these inks over here. 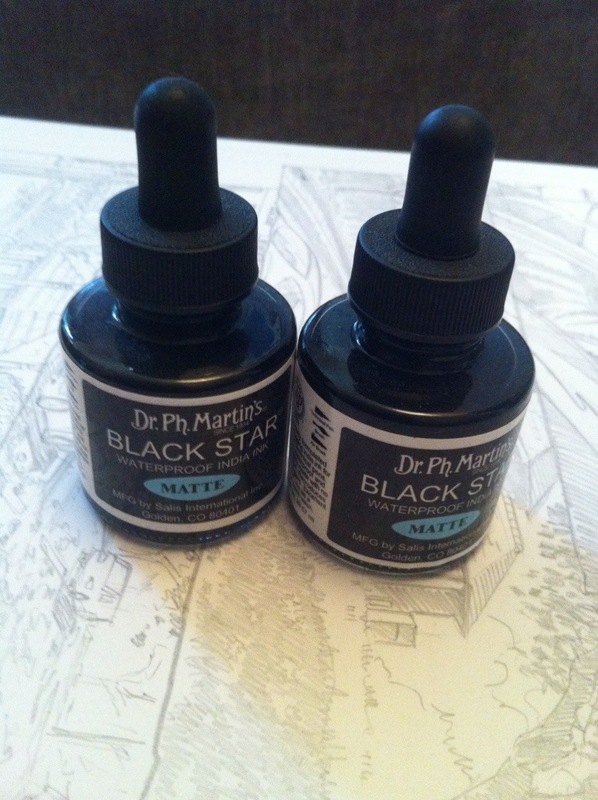 Dr PH Martins Black Star Matte. Highly recommended by pros in the states. Hopefully better then the inks I use.